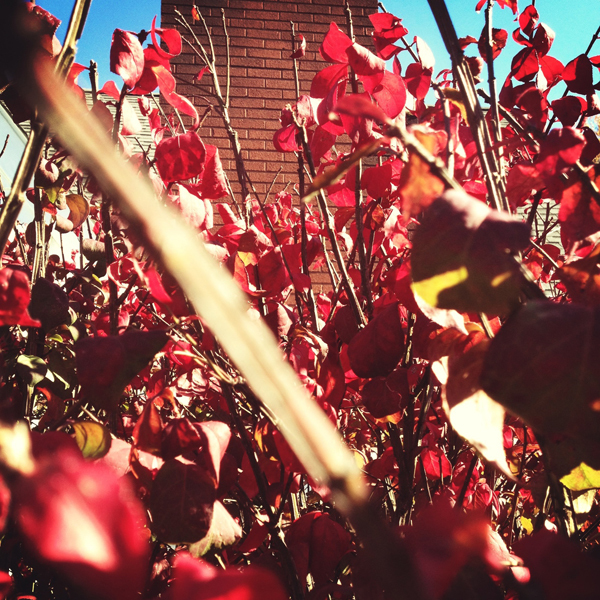 Our burning bushes in front of our house is really starting to change to red, I love it when they are full force red. I remember back when I was in highschool that after me and my friends were all ready for dances during this time of year we would go stand out in front of these to take photos they are great. Thankyou! I just love how these bushes are pretty much green and normal looking bushes during the rest of the year and then around fall time they start turning that beautiful bright red.